Kaikoura has magnificent scenery, with great marine attractions and adventure activities, and a rich history, both Maori and Pakeha. Framed by the spectacular mountain range and the expansive Pacific Ocean, Kaikoura is a thriving seaside town about two and a half hours' drive north of Christchurch. The Maori name Kaikoura translates as 'meal of crayfish' (kai=food, koura=crayfish), and it is crayfish for which the region has traditionally been famous. Kaikoura has a whole range of culinary delights, from freshly caught fish to crayfish and paua. The ocean of extravaganza provides an interesting array of tastes, sights and sounds. 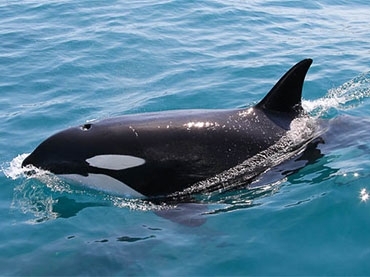 Kaikoura boasts a number of tourist attractions; it's famous for Whale Watch© and Dolphin Encounter, and also provides a wonderful opportunity for viewing an impressive array of seabirds such as the mighty albatross. 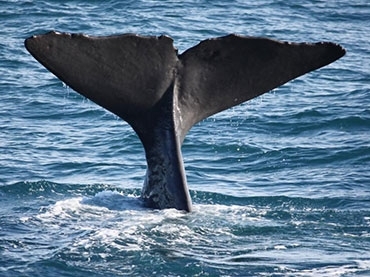 Whales can be viewed from a boat or from the air, depending on weather conditions. There are amazing coastal walks alongside the magnificent Kaikoura Range, with abundant aquatic and bird life. The peninsula's tip provides the opportunity to view fur seals basking on the rocks, or see some of the world's largest seagoing birds. Numerous adventures await your arrival back on land, including 4-wheel motor biking, cave tours, horse trekking, skiing, scenic mountain flights, mini-golf course, public swimming pool, and a skateboard park. Fishing off the new wharf is a popular pastime for local kids and visitors alike, as is walking along beaches, and exploring tidal pools. Surfing is a popular water activity and many indulge in the sport, either for competition or leisure, at world-renowned Mangamaunu Beach and Peketa Beach. 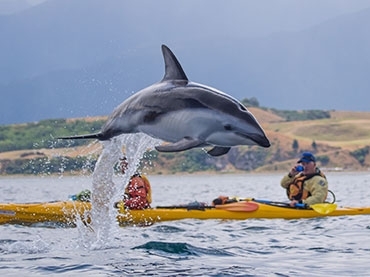 Dolphin Encounter specialises in providing an exhilarating experience of swimming or watching wild dusky dolphins in their natural environment off the Kaikoura Coast. Albatross Encounter takes advantage of the epic diversity of albatross species and numerous other pelagic birds all located within 15 minutes of Kaikoura's coastline. Whale Watch® is New Zealand's only marine-based whale watching company offering visitors an exciting up-close encounter with the giant sperm whale all year round. A 95% success rate means a guaranteed 80% refund if your tour does not see a whale. Whale Watch® tours are extremely popular so early bookings are recommended. Enjoy the kayaking adventure of a lifetime in Kaikoura! Catch up with the local fur seals, blue penguins and dusky dolphins as they duck and dive around the scenic Kaikoura coastline. Hire your own kayak or if you want to upskill first, take a course at their highly respected Kayak School. It's the perfect family experience! Snorkelling with wild New Zealand fur seals, in the shallow waters of the beautiful Kaikoura Peninsula, truly is a unique experience. It's one of those simple nature experiences that opens your mind to the sheer magnificence of our natural environment and its amazing inhabitants. A breathtaking nature activity. 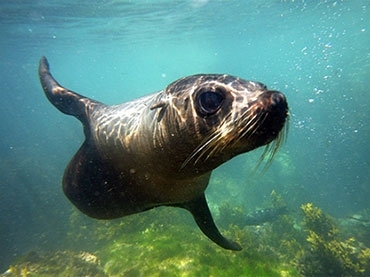 You won't believe how curious, friendly and playful New Zealand fur seals can be in the water. 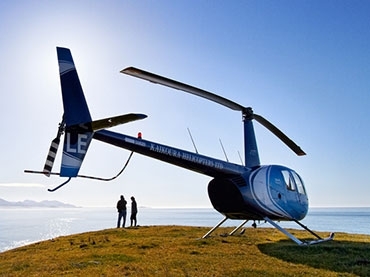 Put yourself in the ultimate vantage point and explore Kaikoura and its many natural wonders by helicopter. See the entire whale as you hover and fly slow orbits above him. Be amazed by the large pods of dolphins. Explore the unique and rugged Kaikoura coastline. Fly through the towering peaks of the Kaikoura Seaward Ranges. Discover your sense of adventure by experiencing a heli raft, hike or picnic. 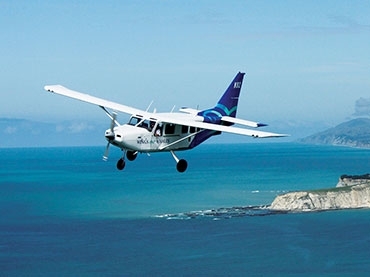 While you are in New Zealand head for Kaikoura and go whale watching... by aeroplane! It's the best way to view whales and mountains. In a typical 30-minute flight you will see the majestic sperm whale preparing for his next dive and up to 500 dusky dolphins playfully swimming. Occasional sightings include Southern Right, Humpback, Fin, Sei, Brydes, Pilot, Southern Bottlenose and Blue Whales.